Dr. Larsen is a native of Nebraska. He attended Nebraska Christian College and earned a B.A. in Pastoral Ministries in 1991. He graduated from Cincinnati Bible Seminary in 1994 earning the M.A. in Biblical Studies and a M.Div. In the summer of 1994, he moved to Maryland where he taught for Lincoln Christian College – East Coast and ministered with the congregation at Jones Creek Christian Church in Baltimore. While living in Maryland, Dr. Larsen also completed his Ph.D. studies at The Catholic University of America in 2002. His dissertation was entitled: “Do You See Anything?” (Mark 8:23): Seeing and Understanding Jesus. A Literary and Theological Study of Mark 8:22-9:13. He came to serve MACU in the summer of 2005 as Professor of New Testament and Director of Institutional Research and Effectiveness. On July 1, 2007, Dr. Larsen assumed the role of Vice President for Academic Affairs at MACU. 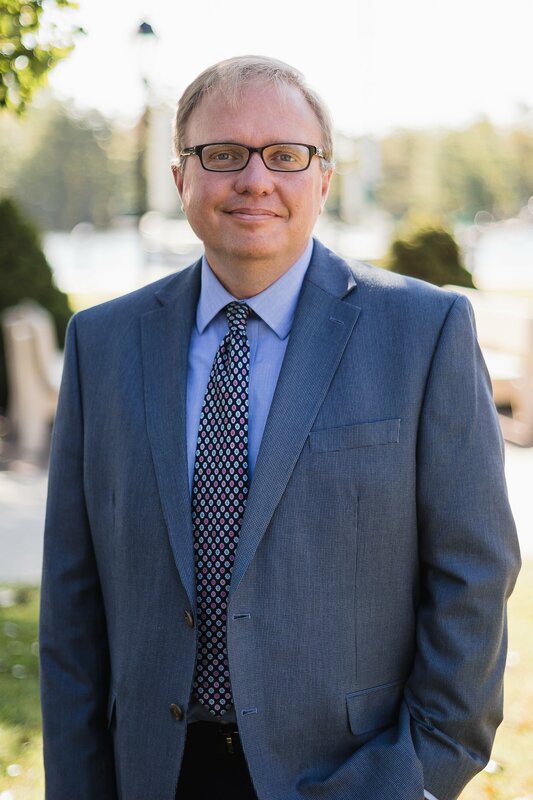 Dr. Larsen is an active member of the Evangelical Theological Society, the Society of Biblical Literature and the Catholic Biblical Association. In 2005, Dr. Larsen began functioning as a consulting editor for the Stone-Campbell Journal. He has had articles published in such journals as the Christian Standard, Trinity Journal, Leaven, Restoration Quarterly, and Currents in Biblical Research. In similar fashion he has had numerous book reviews published in various academic journals. His dissertation was published by the University Press of America. Dr. Larsen also contributes to the local church by regularly supply preaching and leading workshops and seminars for local congregations and state and regional conventions (e.g., Eastern Christian Conference, New York City Metro Convention). The past couple of years Dr. Larsen has been participating in archaeological work in Israel, digging at Ashkelon, Khirbet el-Maqatir, and most recently Shiloh (where he serves as a square supervisor). When not reading or writing, you can find Kevin learning to do handy-man tasks around the house or making plans for his next international trip (past missions trips include the Philippines, Ukraine, Pakistan, India, China, Poland, Austria, Czech Republic, France, Moldova, Brazil, Zambia, Nicaragua, and Indonesia).